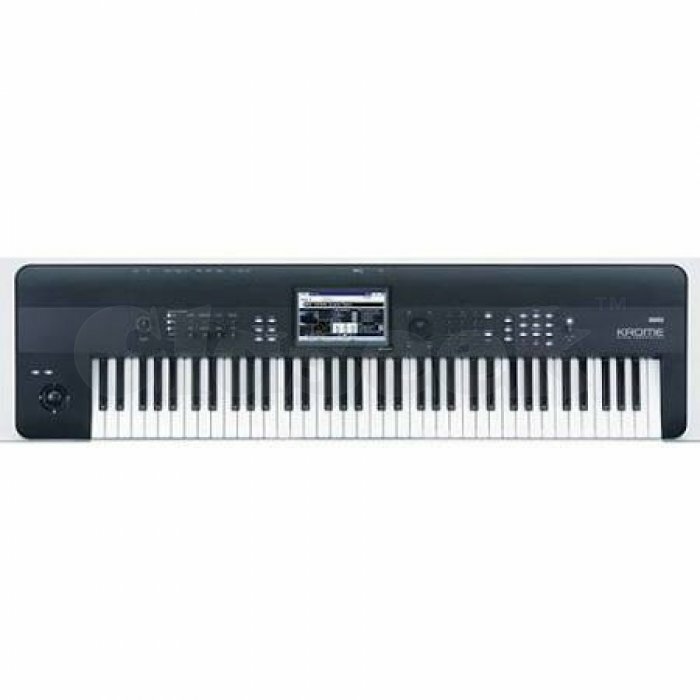 Korg Krome 73 features a semi-weighted natural-touch keyboard, which provides the user with a great feel and response, perfect for playing everything from any style of piano, to dynamic organ performance, to pyrotechnic synthesizer solos. The Krome 73 is a perfect example of korgs passion for every musician to enjoy great sounds played on great instruments. The dramatic dark colored body gives the Krome 73 an elegantly curved profile. The top control panel is made using two aluminum panels of differing design. The result is a distinctive appearance that projects an unmistakable presence, even on a cluttered stage. In both looks and sound, the Krome will make a strong impression on the audience. Features The Korg workstation ideal for any style of piano playing Kronos-derived full length, unlooped piano and drum sounds.